This picture was taken on the same day as the previous two. 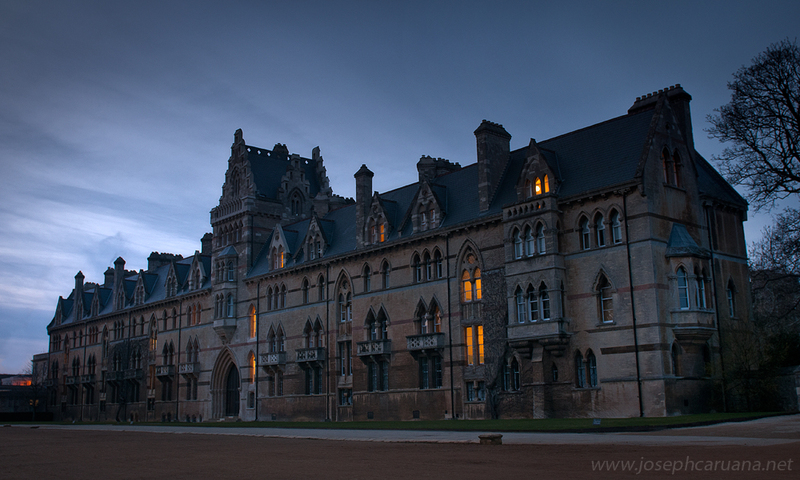 It shows the Meadow Building of Christ Church at nightfall, after the grounds emptied of people and it all became very quiet. Those little orange lights seemed to be the only apparent signs of life in an otherwise silent setting completely devoid of any activity. This picture comes with thoughts about a person whose light still flickers in the hearts of all those who happened to cross paths at some point. An inspiring person who encouraged and cheered up many a friend. A warm light in the life of many.